> > > > I don't follow. > > > > less is bug and should not be tolerated bu library users. > > > mean the state of standard FP registers. Sorry, I guess that was not clear. > > > more complicated by mixing up CONTROL bits with STATUS bits. 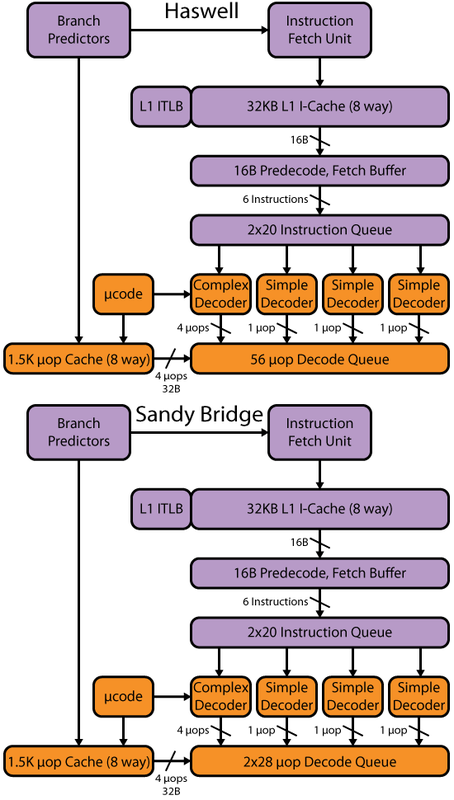 > > > read/write operation, instead of a twiddle one bit at a time with high latency model. > > I don't like it from pure theoretical point of view. But in practice it is not a significant problem. > Reading and writing control both make sense, writing status does not make sense. Writing status does not make sense, but it does not hurt. At least I don't see why it could possibly hurt. > means you have to delay the read until the status is available. 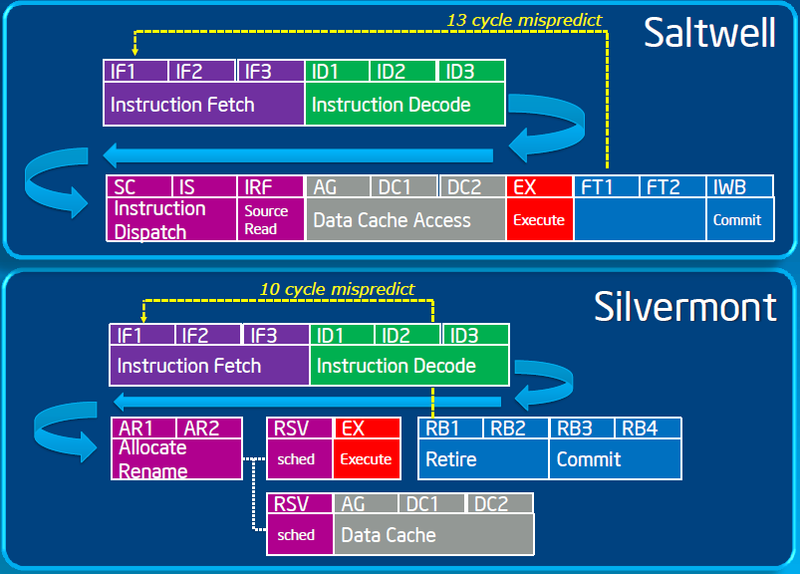 x87 has separate control and status words (=good), while SSE has them intermixed (=bad). I tried to compare the speed of FNSTCW instruction (x87 Control Word read=good) vs STMCSR (SSE Control/Status Word read=bad) in Agner's tables. Unfortunately, he provides very little information about the latency of these instructions and even available information is unlikely to be reliable. Which (lack of reliable information) sort of makes sense since the latency in this case is not only hard to measure, it's even hard to define what exactly would be considered latency. Agner has throughput number, so and for majority of cores the throughput of FNSTCW is, indeed, significantly higher than STMCSR, but, first, in this case throughput is not very interested and second, on Nehalem and SB/EB the thoughput is the same for both - 1 per clock. > Writing control (in a model where control is separate from status) is also easy and fast because now "all"
It's not clear to me where exactly you can do this "easy" attachment on OoO machine. > to just sit around storing that info otherwise unusable, or which have to be pushed then popped. Also sound like, depending on implementation, it would be the source of either partial-register interlock hazard or the source of more-true-than-false dependency on the previous state of control/status word. I'm not sure what's worse, in typical usage scenario probably the later.